With his debut album Yours out this last week, we chat to Nathaniel about the release of his long awaiting LP, tracks on the album, being reflective and how he loves his fans. 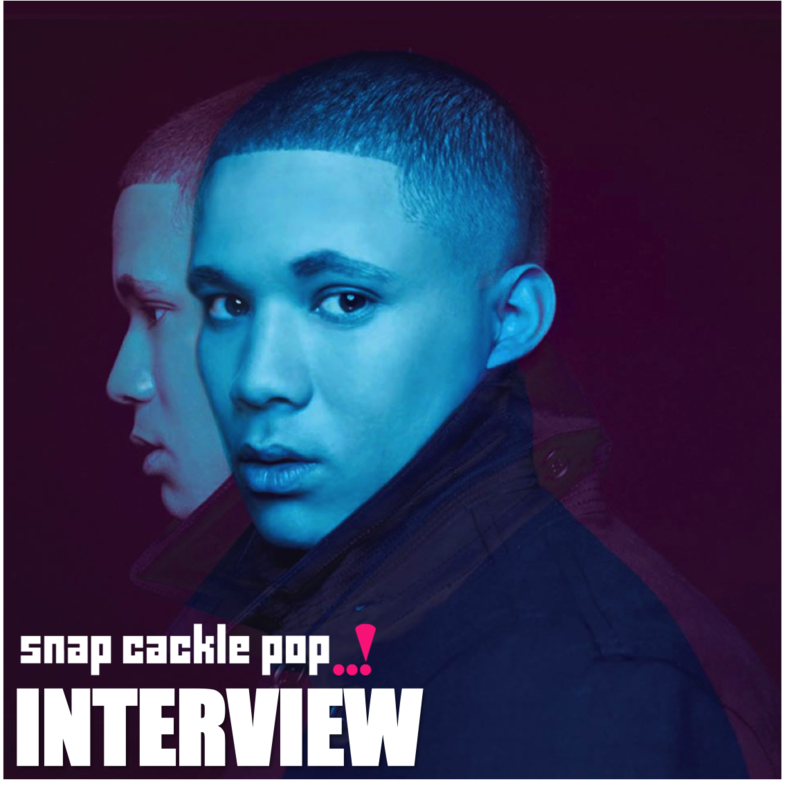 It's the SnapCacklePop Interview with Nathaniel..! Welcome to SnapCacklePop, what an exciting week for you! Thank you and yes we FINALLY get to release my album. That's exactly how I feel. Its been such a long journey. It been in the works for over a year, it been fun and I'm so excited. Well you have released five singles already, what else can we expect from the album? The five singles give you a taste of the album. I goes into a lot of depth, over relationships and break ups, life and having a good time. What does it mean when you say it "takes you on a rollercoaster of emotions"? I wanted to take the audience through a wide range of emotions. The album starts strong, dips in emotions in the middle, and ends strong. It takes you up and down lyrically through every song and that is where the depth come from. You have been working with the DNA boys, how has that been? Its been fantastic. It was two years when we started working together. We wrote a bunch of songs, two went double platinum and one has been nominated for an ARIA, so I love working with those boys. I have learnt so much from them as a song writer and a artist. What I do and don't like. The essence of control. I have become more empowered to understand my gut and what I do like. The last couple of years I have grown, ensuring I have kept focus on the artist I wanted to be and ensure I had creative control over this record. It's been great last couple of years with Sony, DNA and the others have helped me grow along the way. Lets talk about some of the tracks on the album, lets start with Always Be Yours, what a beautiful track! Yeah, I wrote it for my wedding. Awww. Can you get any more romantic Nathaniel? Yeah it was pretty special. I wanted to write a song for our special day. I was writing it with the DNA boys again and it was special to us all. For me and my beautiful wife, but for also for the other two as it reflected stuff that was going on in their own lives. The song started off incredible and ended incredible. Honest, bare and a beautiful song. Something else special about that track is it only took two takes. First time in the recording booth went well, by the DNA boys said "Do it again, but we want you to bleed out with emotions, through your voice" - the second time we nailed it and that is the version we kept. What are some of the other highlights on the album? Well its all pretty special, however there is a song called Don't Let A Good Thing Go that is a really well written song, that has become one of my favourites and the first track on the album called Animals which is about having a party and a good time. How do you like to have a good time? If away from music, spending time with my beautiful wife and friends, being active by playing basketball or going for the gym. It's hard due to my schedule, as I do not always get much time to hang out with friends and family, however I love my work so it weighs itself out. What do you want your fans to take from this album? My journey and its been a long one. What I have gone through the last two years and I want them to be part of that. They have been there from day one, hence the album is called Yours, as its for them after all. You have a lot of soul, who has influenced you? Marvin Gaye to Stevie Wonder, from Al Green to Sam Cook, to The Beatles to Michael Jackson, there are so many. Many times I get told I have an "old soul" and what I take from that is thanks to my parents as they listened to a lot of that music when I was growing up that influenced me from a young age. Do you think you will ever want to stand away from the X-Factor shadow? A few people have asked if I would ever want to shed myself of The X-Factor tag and I have always said "Why would I?". It was a huge blessing being on that show. Many doors opened after appearing, so I am always grateful and thankful for what it has done for me. Even in 20 years from now, I would happily still say that is where it all started. What advice would you give people on the show this year? Embrace it, be in the moment. Work hard, not just on the shows, but behind the scenes. Put in the extra effort. I remember when I was on the show, after rehearsals I always stay back to use the stage, to go through my creative, where would I stand, where would I sing too. It is all about hard work. It's good to have a plan for after the show too, regardless of whether you win or not, just have something ready to ride The X-Factor opportunity that you have been given to you. Whether working with producers, writers or getting out there performing, make sure you ride the The X-Factor hype whilst you can. So are you taking this album out on a tour? Yes planning on getting a bunch of dates together for early next year. It brings another side to your artistry when you are on the road, doing your gigs and getting out there meeting the fans. If you were a superhero who would you be an why? Superman, as he can fly and he can even fly into out of space an I love astronomy. I find it really interesting. I used to watch a lot of documentaries on YouTube, I just love it. I have a nice telescope at home, that I recently brought, however as I live in the city, there is light pollution drowning out the stars. Where do you like to relax? I love going out for breakfast. There is a place in Richmond called Top Paddock which is great, then in Prahran called Bubba. I have recently moved into that area, so I am exploring that side of Melbourne. If you were abandoned on a desert island what three things would you take with you? A lion. As he king of the jungle. [Laughs] I actually have much respect for them, as they as so present, their power, they are so proud and I have seen what they can do. So final questions from us, what do you want to be remembered for? Inspiring people. With my music, actually any which way possible. And a final message for your fans? Boom! Nathaniel, thank you, its been a pleasure. We wish you all the luck with your album Yours that is available on iTunes now..!